There were some minor kinks getting into Ted and Amy's Supper Club. It was like trying to get reservations at Au Pied De Cochon. But despite these small hills, I managed to arrive this past Saturday to a welcoming ground floor brownstone located in the lovely neighborhood of Fort Greene! Kara Masi's cooking, now ranks as one of the Top 5 Supper Clubs on my list. Her dishes straddle between something simple and straightforward that you 'think' you could cook at home bc its so familiar yet it's actually more complicated with a sophisticated twist that definitely classifies as restaurant worthy. 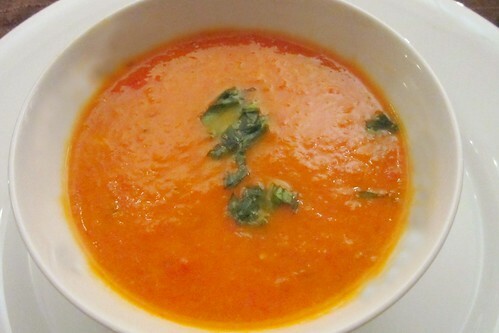 Perfect weather for roasted tomato soup. 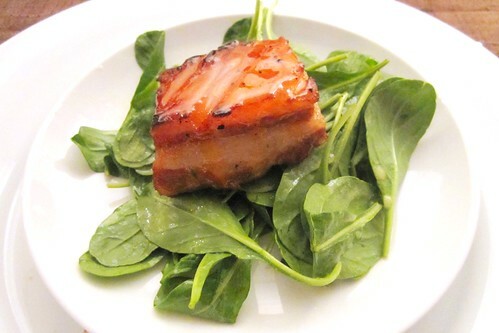 Tangerine-Glazed Pork Belly over Bitter Greens Salad. So good that 5 guests fought over the last 2 extra pieces. No injuries. 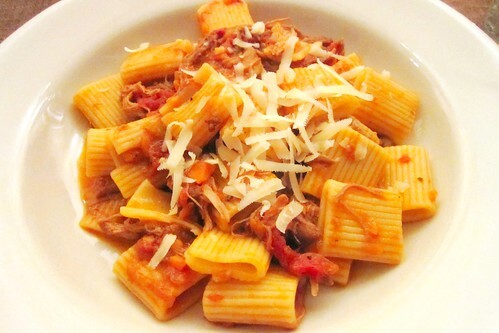 Rigatoni with Duck Ragu. Perfect. 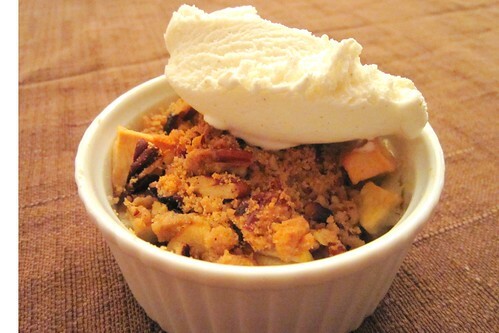 Apple and Cranberry Crisps with Ginger-Pecan topped with a scoop of vanilla ice cream. 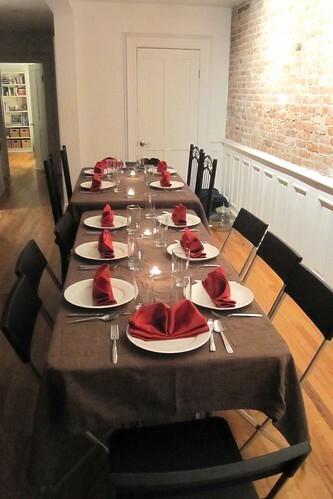 Special thanks to Kara, her love towards Fresh Direct-- and oh the generous amounts of wine poured for all 12 guests. Thanks Joaquin + party of 3 for the ride home!